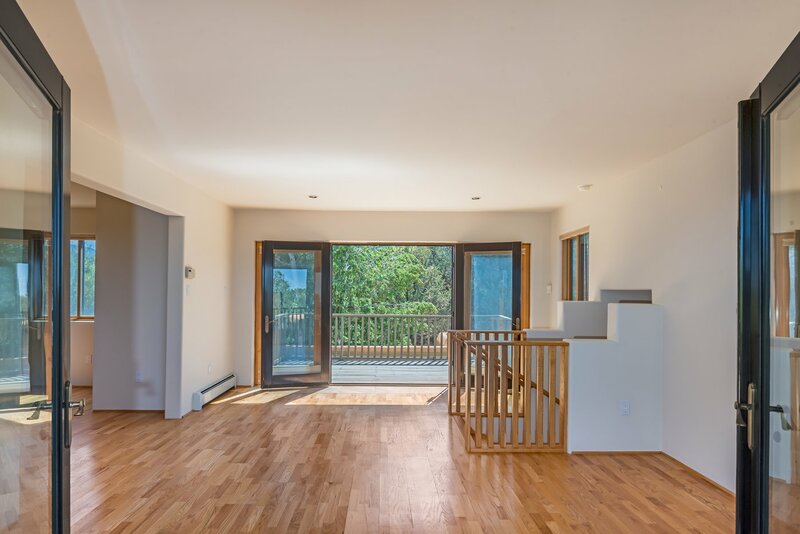 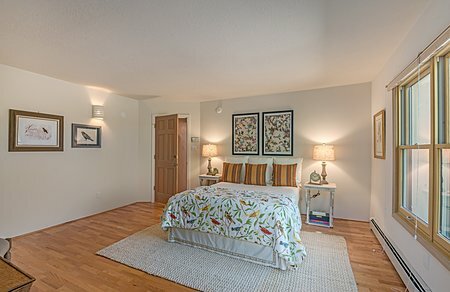 This marvelous, light-filled 3,300 sq. 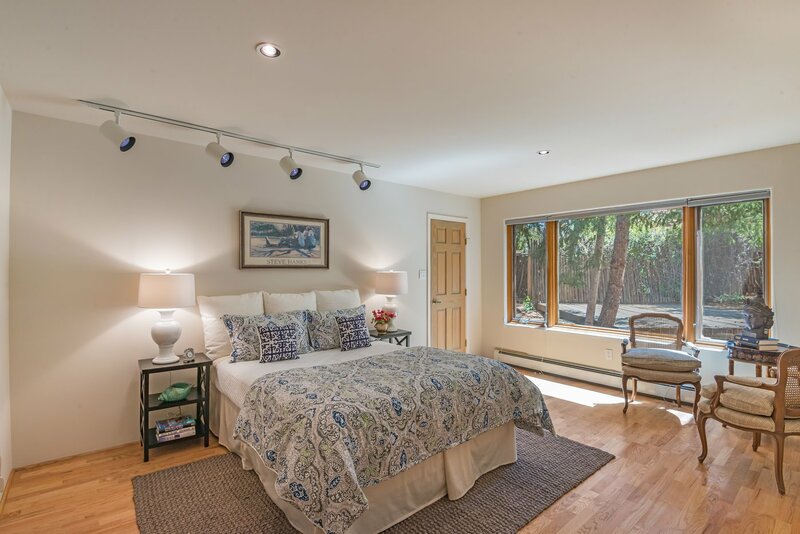 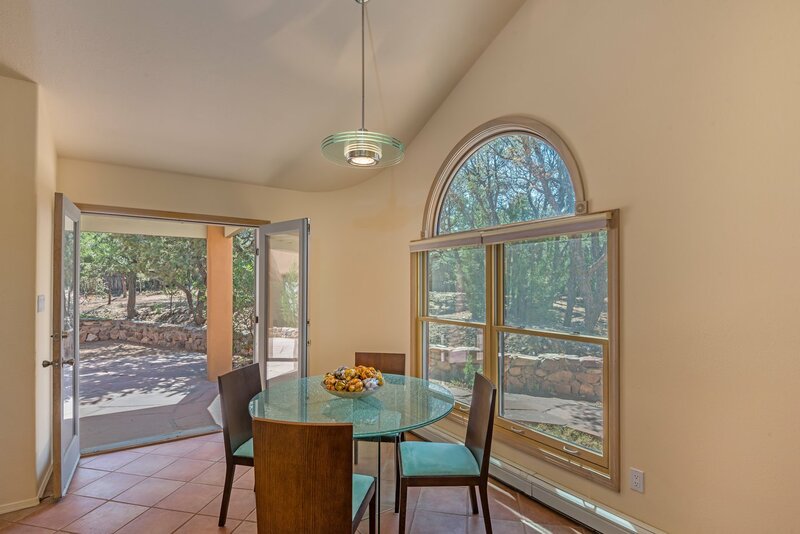 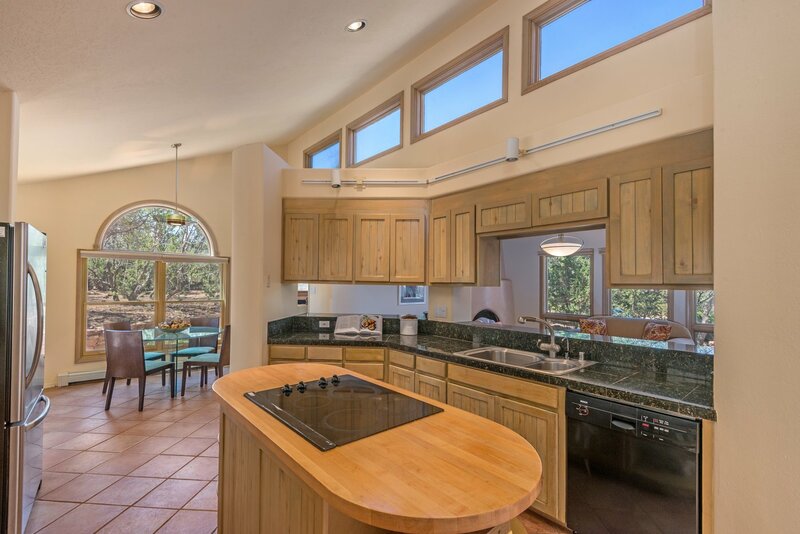 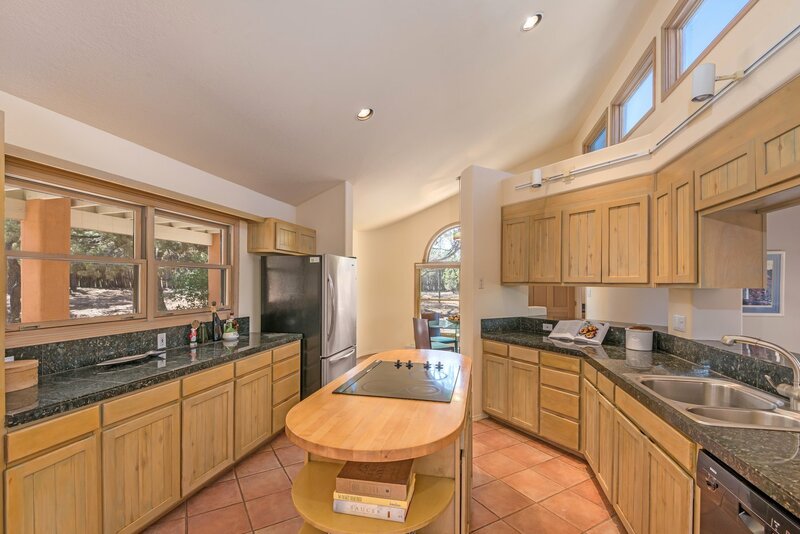 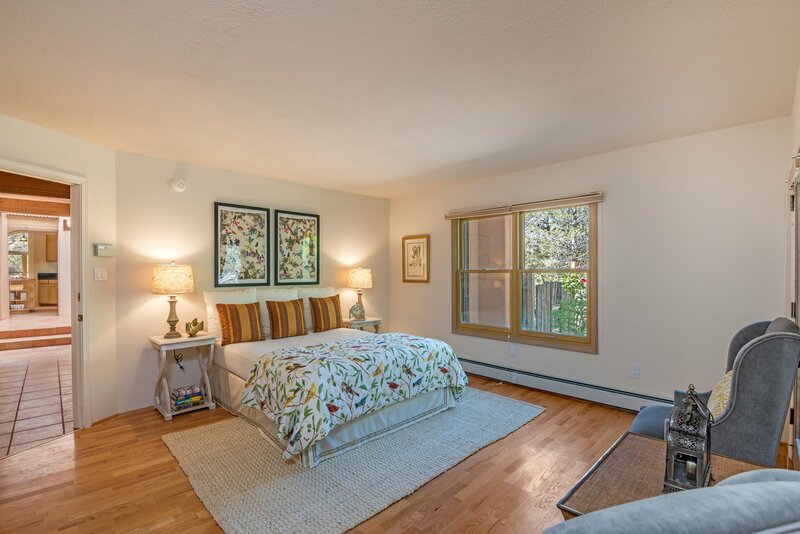 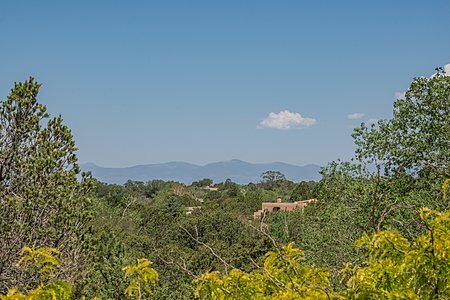 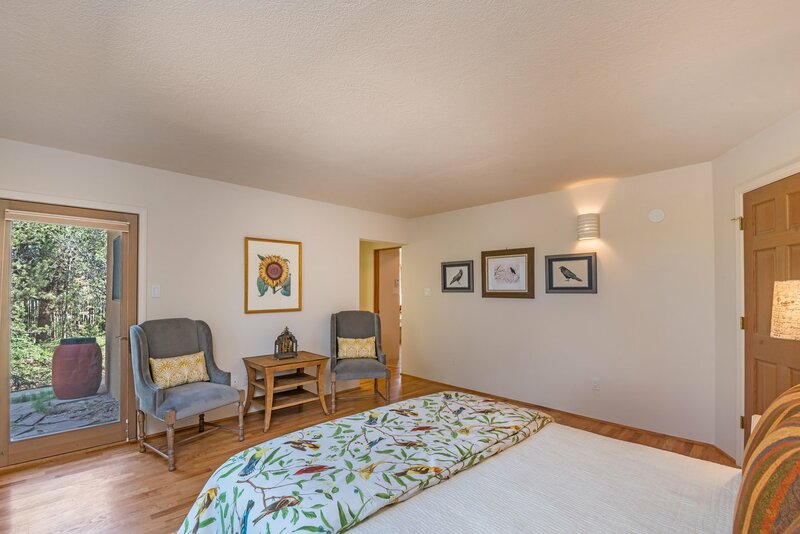 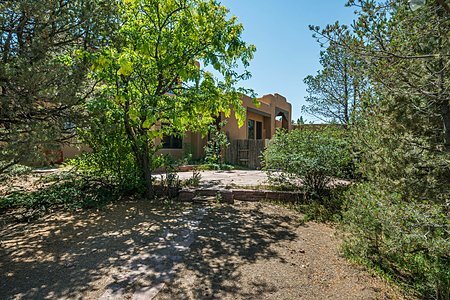 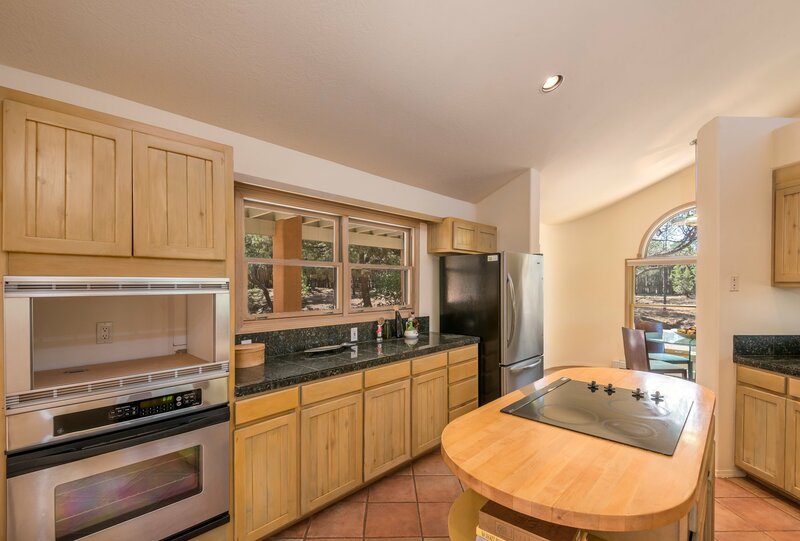 ft. mountain view home near Museum Hill in desirable Sun Mountain Estates, has ALL 4 bedrooms on the first floor. 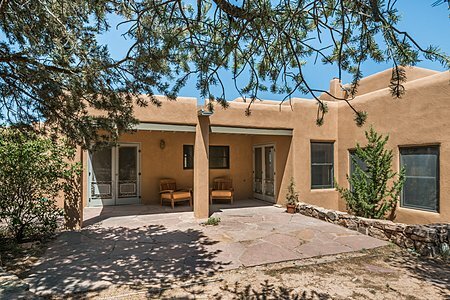 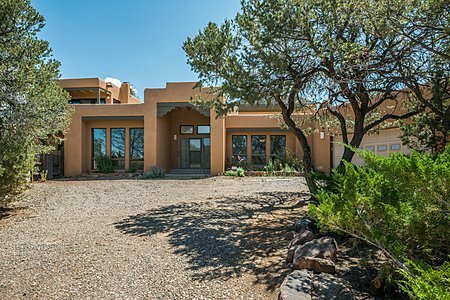 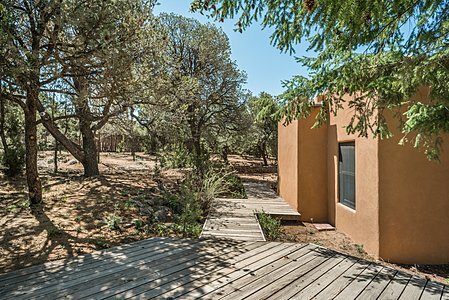 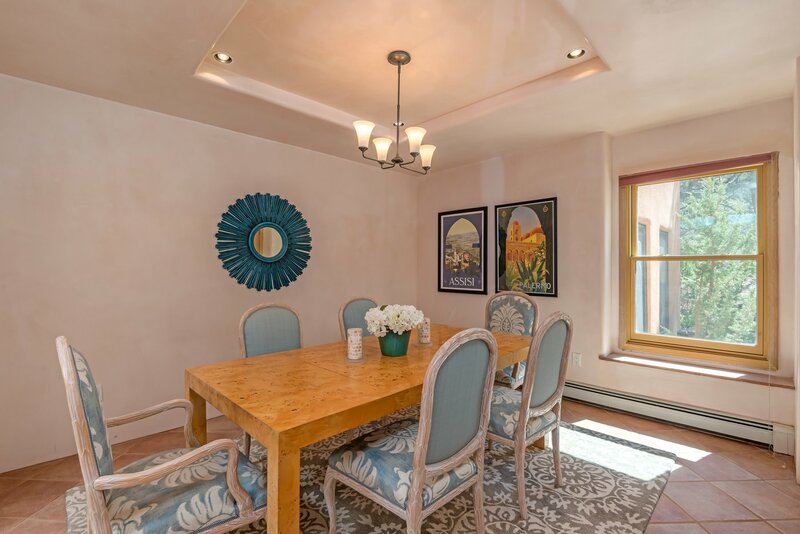 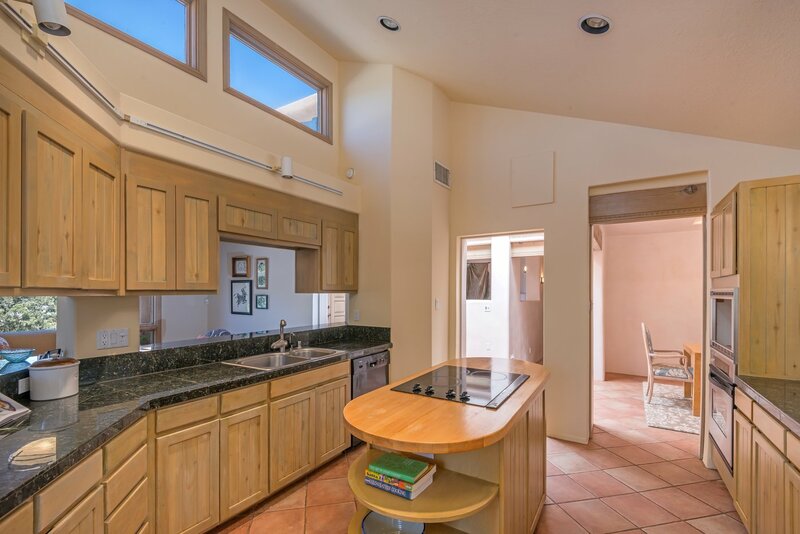 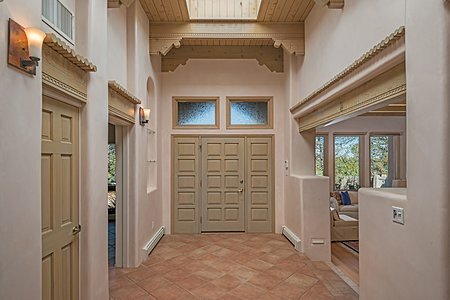 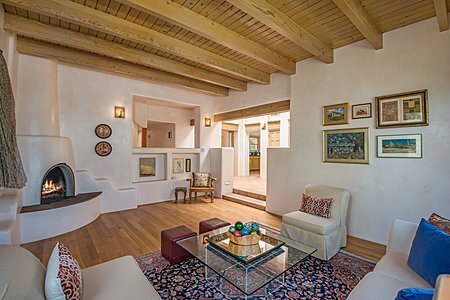 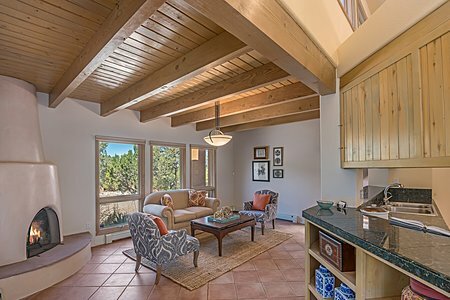 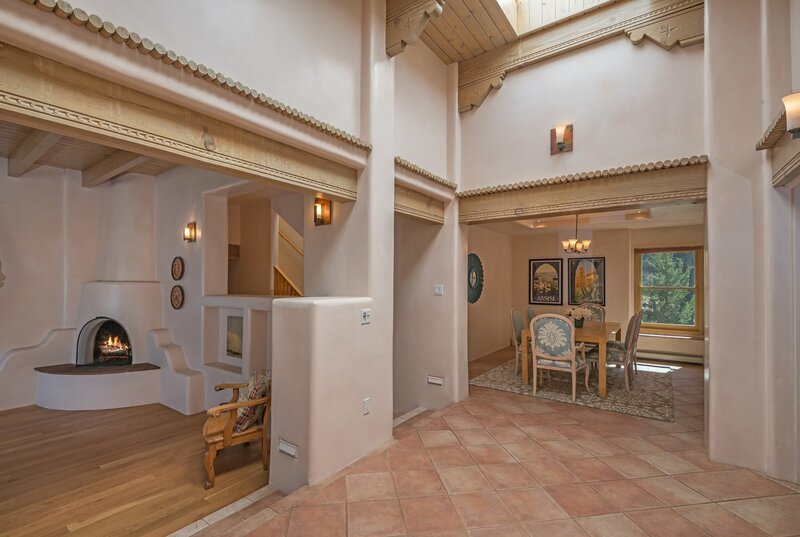 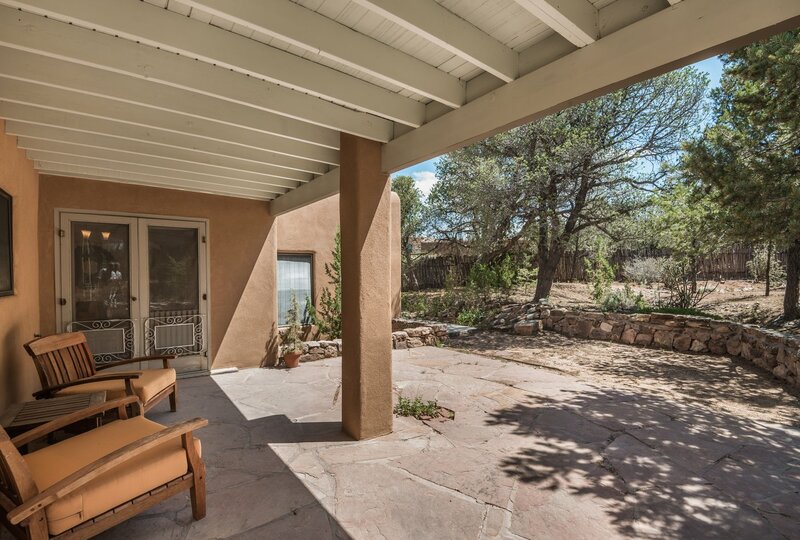 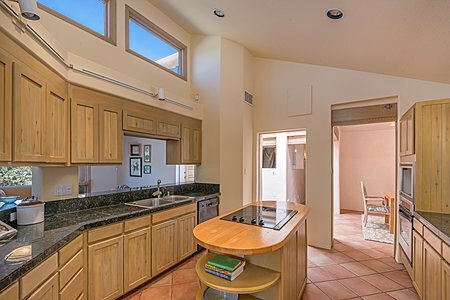 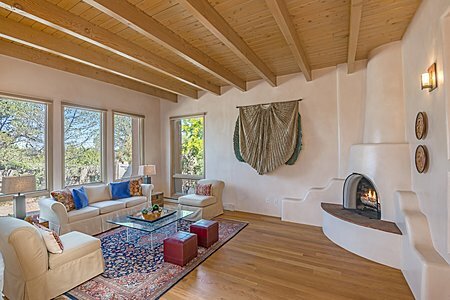 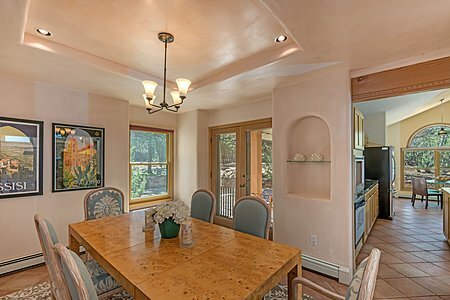 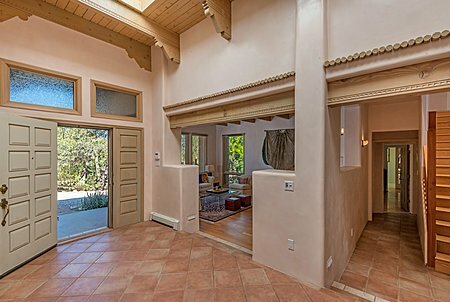 The delightful property has traditional & contemporary southwest elements, with beams, hand trowel plaster walls & bullet-carving. 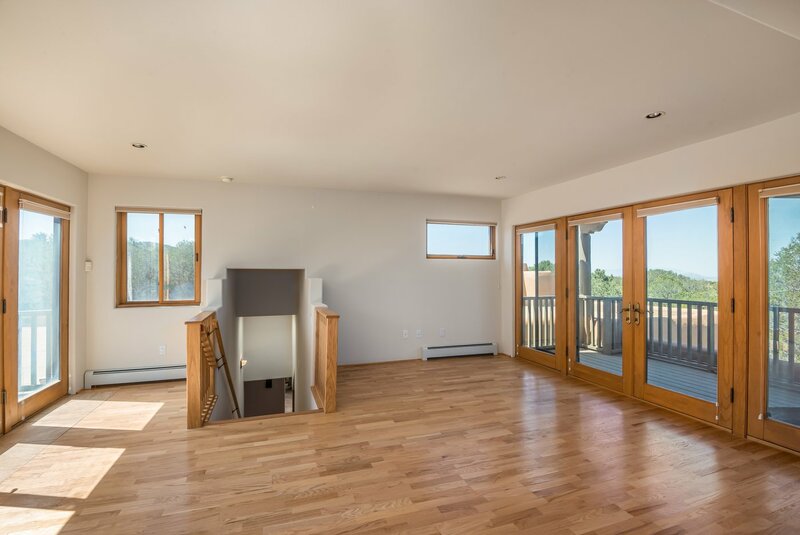 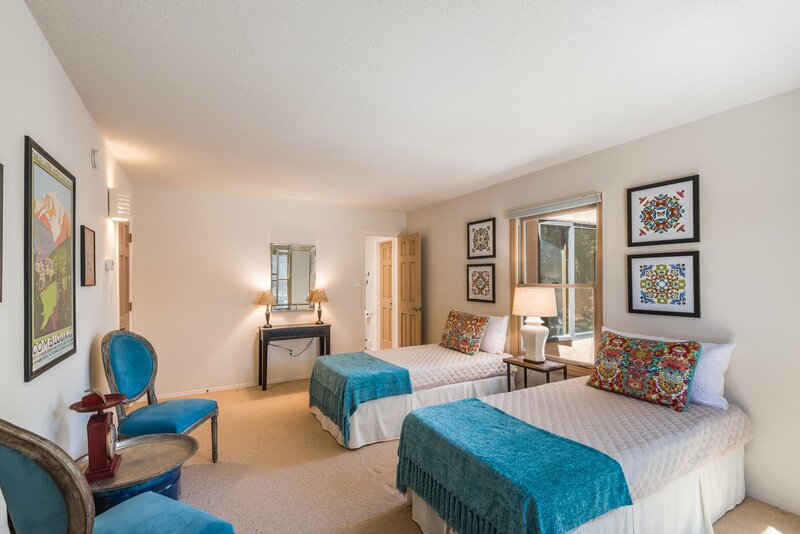 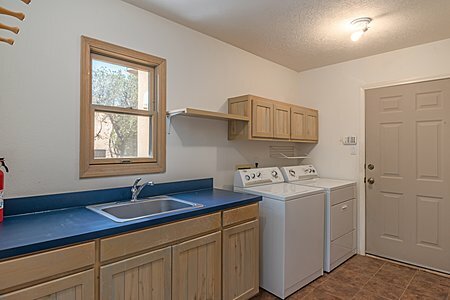 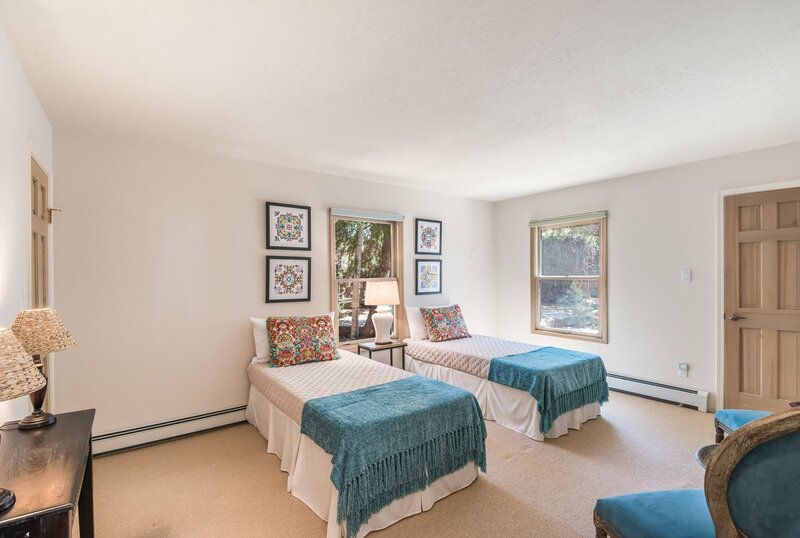 Significant updates include a 2018 roof with 12 year warranty, 2018 complete house re-stucco, and freshly painted interiors, exterior wood beams, balconies & trim. 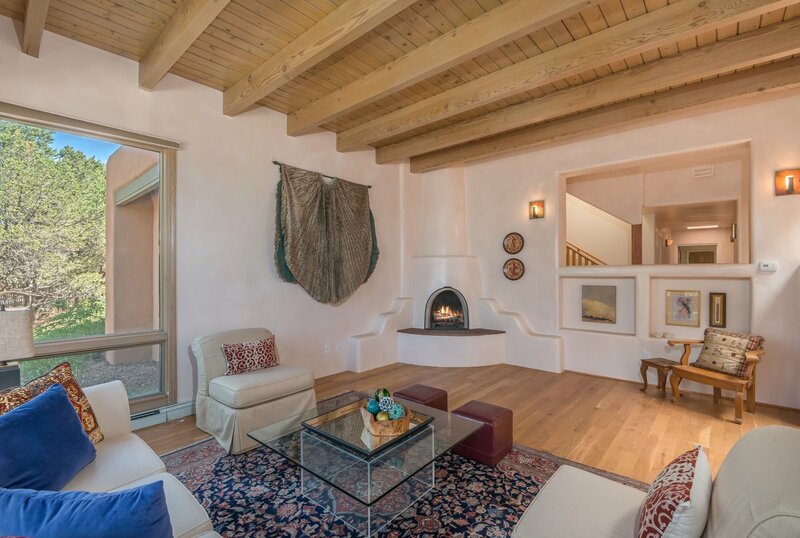 Dramatic 13&apos; high formal entry, beautiful living room with oak floors, soaring beamed ceiling, & kiva fireplace, dining room with French doors to a portal, flagstone terrace, wood decks & grounds. 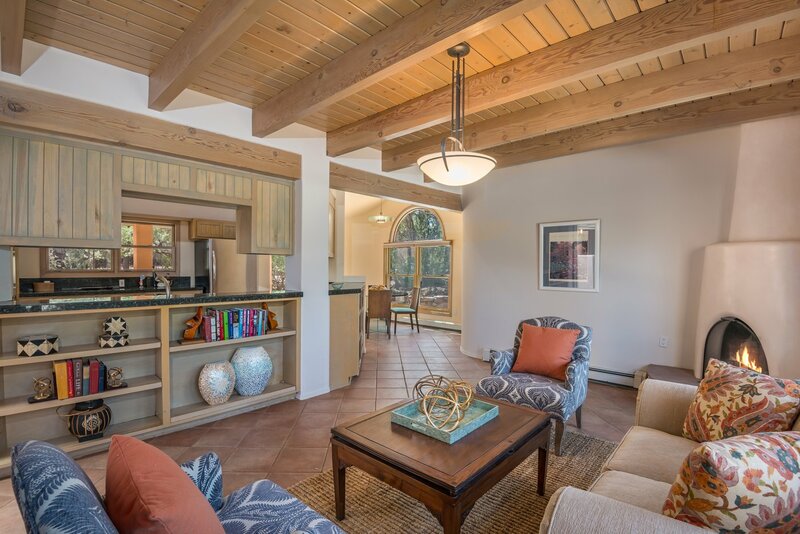 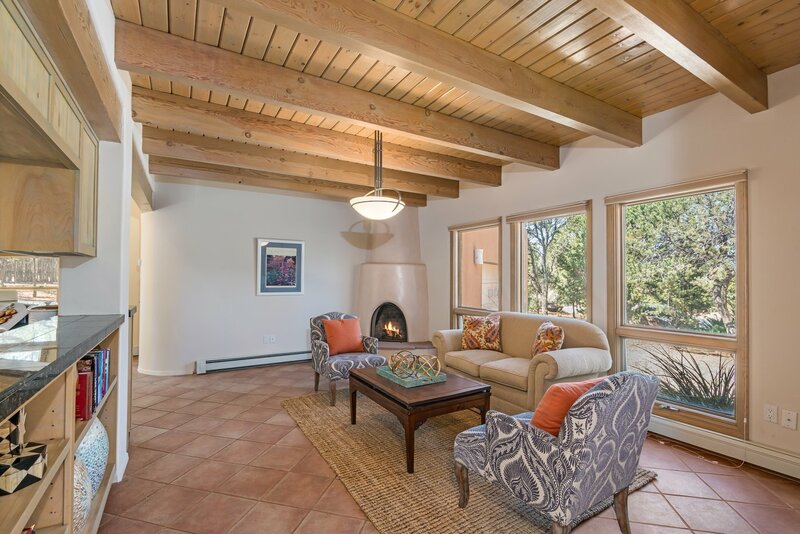 The family room features beams, kiva fireplace, built-in shelves & large pass-through to the high-ceiling&apos;d kitchen & large breakfast area with French doors. 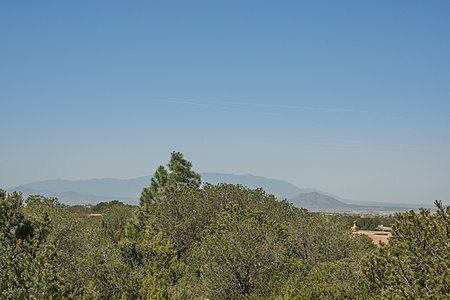 Outdoor access from several rooms encourages al fresco dining & entertaining on over 1/2 acre of coyote-fenced, irrigated wooded grounds. 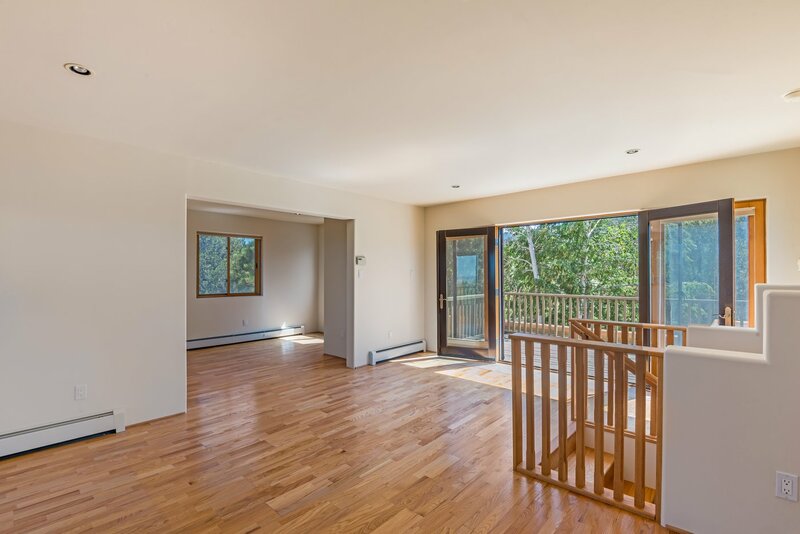 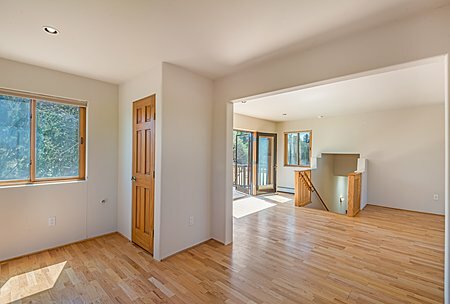 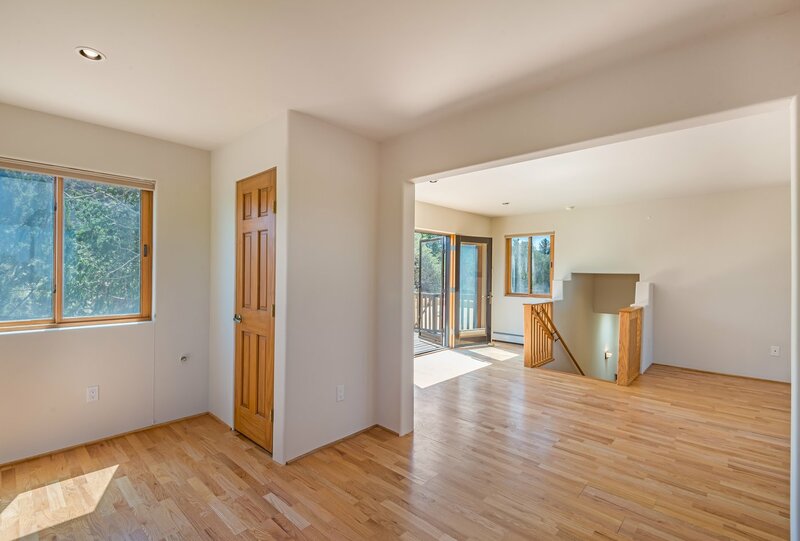 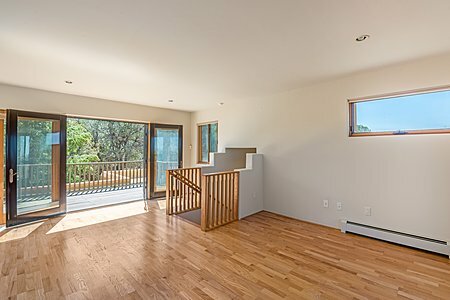 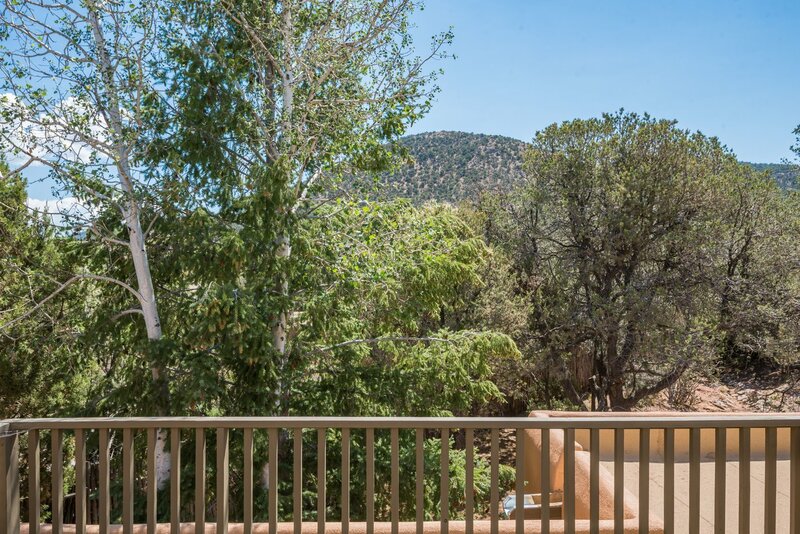 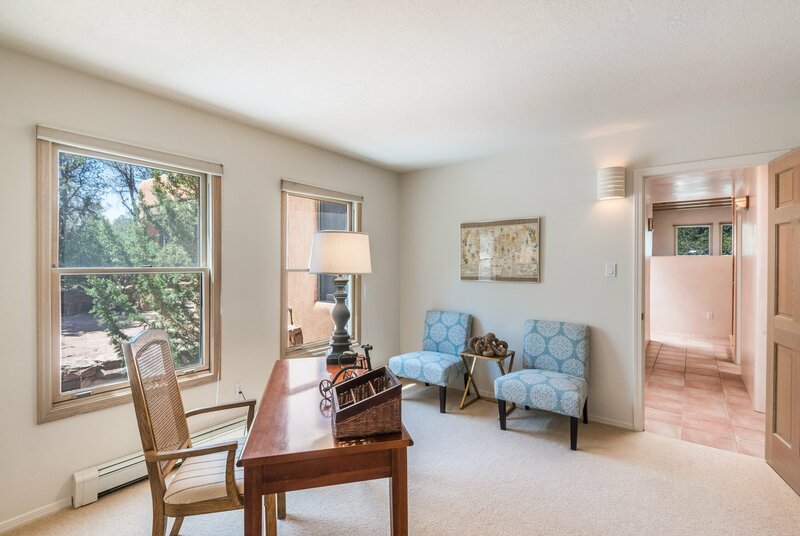 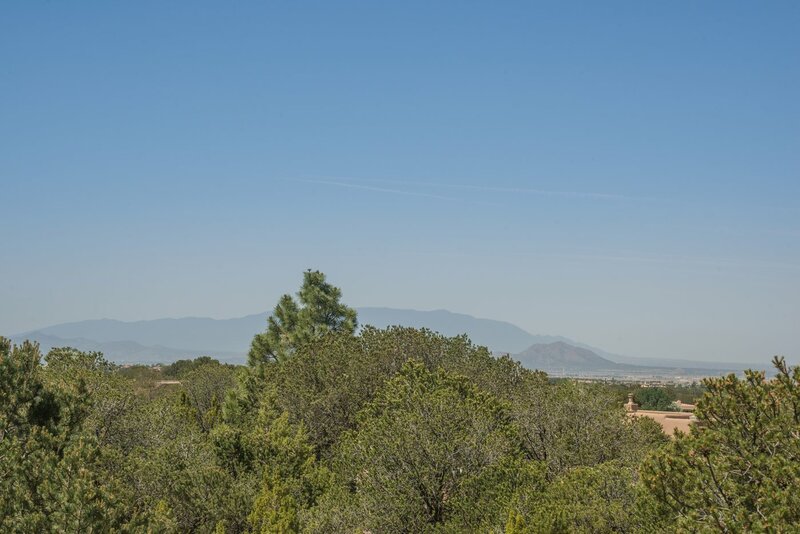 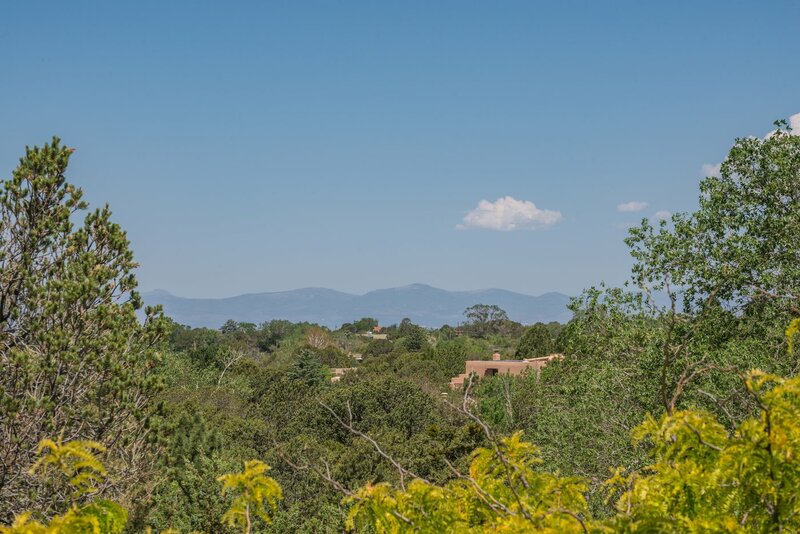 The generous second floor studio/office has 2 sets of French doors to balconies & fabulous mountain views. 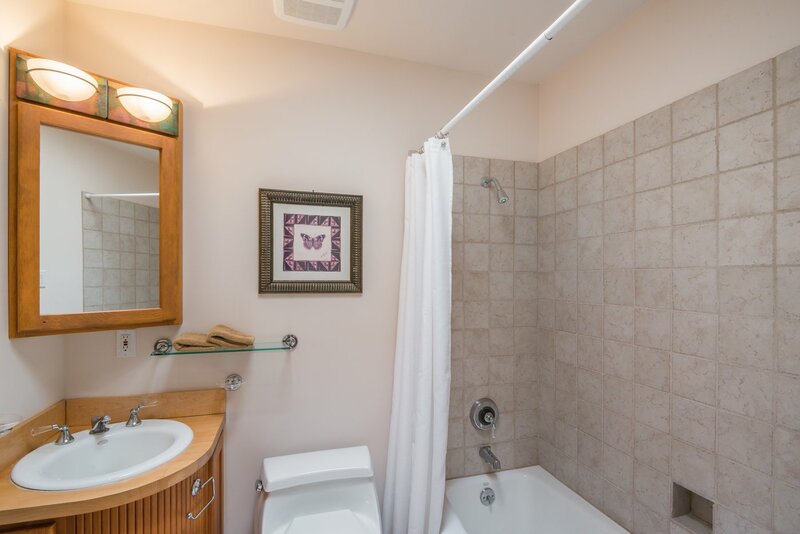 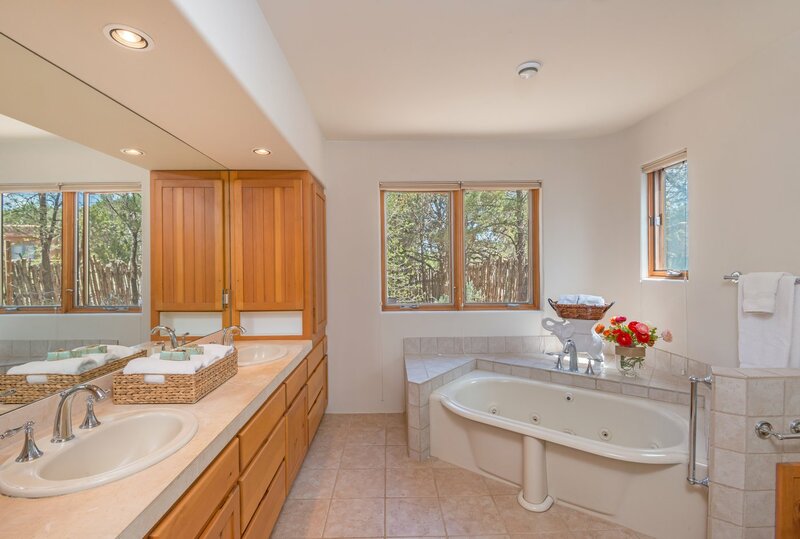 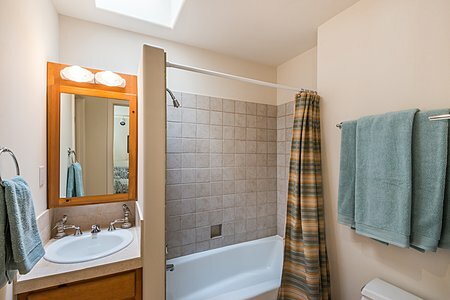 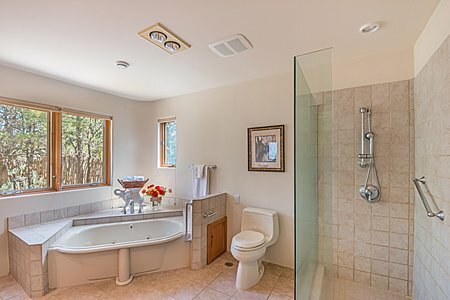 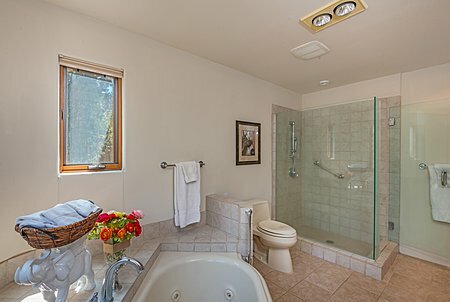 It and the master bathroom & walk-in closet were some of the later improvements. 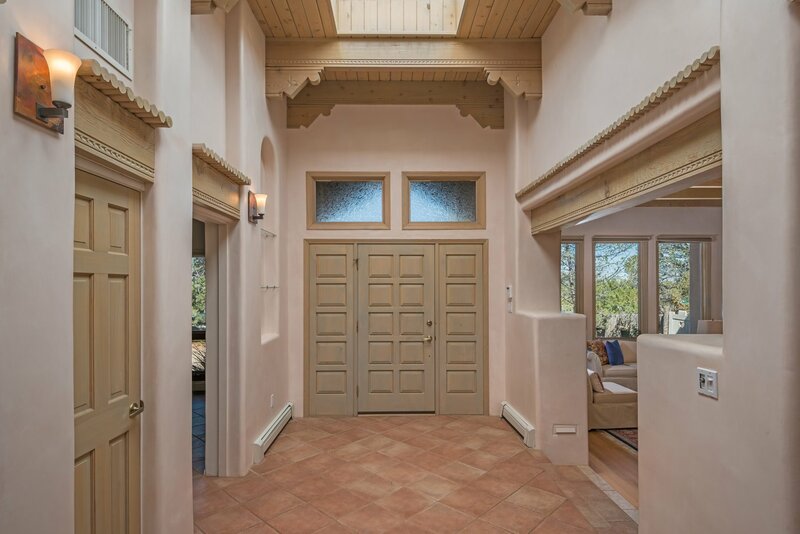 Large frame & stucco storage shed with window & skylight. 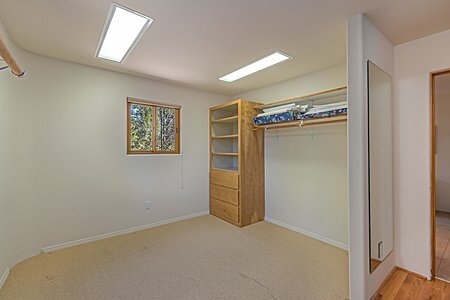 Wood Gormley school district.